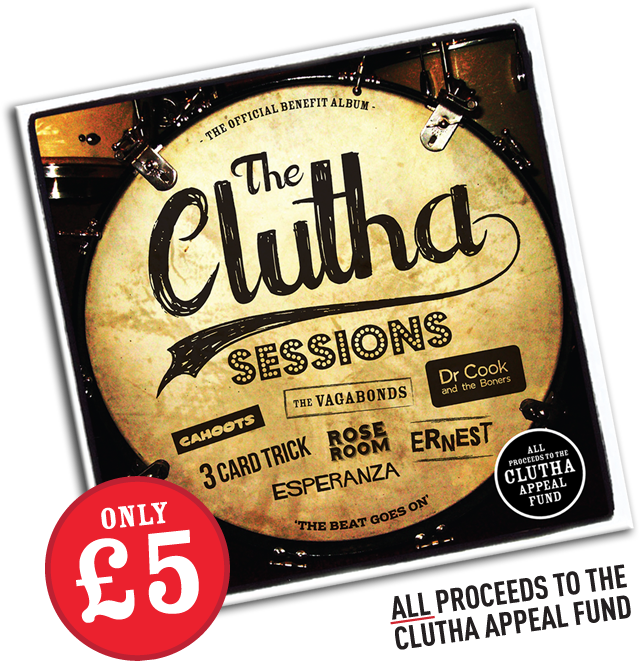 ASDA West of Scotland stores, LOVEMUSIC Glasgow, HMV and Fopp stores around Greater Glasgow. Also available at many bars across Glasgow. Barney Taplin & Danny Mitchell at Carlton Studios, Matt at Maybank Studios, Tom M. Wilmot, Paul Winton, Pete Cowan, Billy Gaughan Jnr, Gary Anderson, Charlie Sharkey, Stuart Stenhouse at EmuBands, Janine at Sound Performance, Billy Johnstone at ASDA, Deeset Distribution, Graham Bell, Robert Fallow at VetsNow Referrals, Martin Paterson, Josie Saunders, 999 Design, David and Davie at the Poster Company, Tommy and John at CG Print, and of course all of the musicians, friends and family who helped make this record happen. Alan Crossan of the Clutha & Bill Gaughan, Tony Gaughan and David Wells of Neon Tetra.